temps down to there. Makes the idea of slaving over a hot stove downright inviting. So, for this New Year a new entry in the growing arsenal of Meatless Monday recipes. 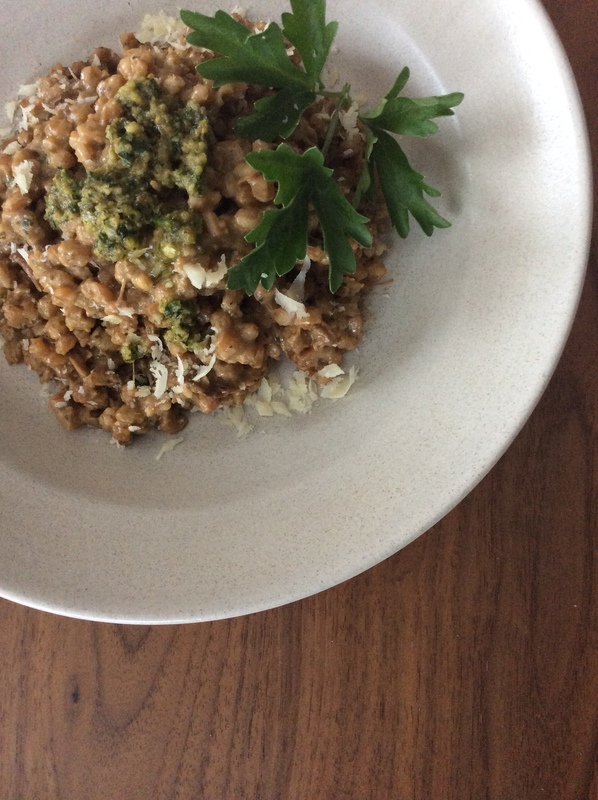 Farro Porcini Risotto with Parsley Walnut Pesto. Rich, hearty, aromatic and best of all, on the table in about 30 minutes. This just moved to the top of my rotation. 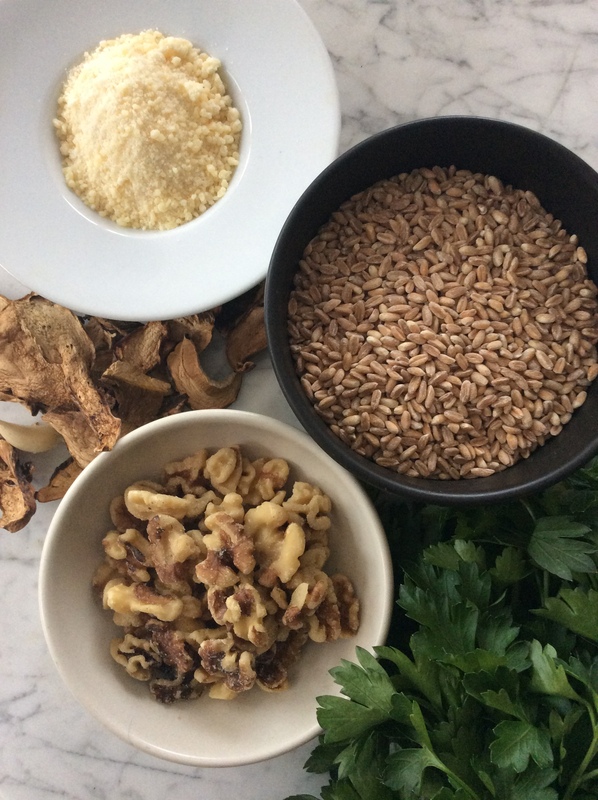 I added a little shortcut to this already simple recipe from Martha Stewart, https://www.marthastewart.com/312975/farro-and-porcini-risotto, by using 1/2 jar of Trader Joe’s Pesto Alla Genovese with the parsley and toasted walnuts and an additional splash of olive oil. The weekend’s here, why wait till Monday.